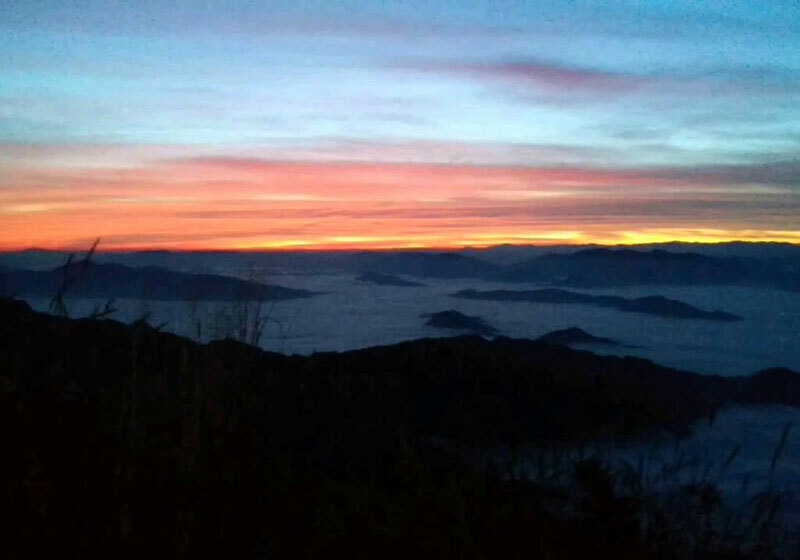 Doi Phu Nang National Park is situated in an approximate area of 512 square kilometers or 320,000 rai, covering the areas of Dok Kamtai District, Pong District, and Chiang-muan District of Phayao Province. There are different kinds of forests within the area of the National Park, including dense forests, mixed forests, and timber forests. The Doi Phu Nang National Park also has beautiful natural sightseeing spots including Hoitonpung Waterfall, Thansawan Waterfall, which are abundant sources of rivers and gullies. The geographical features of the National Park consist of high mountains, extending northwards. Meanwhile, Mae-yom Forest and Nampi Forest consist of high mountains extending like a horseshoe, as well as a low-lying land of Chiang-muan District situated in the middle of the two forests. Doi Phu Nang is the highest mountaintop of the two forests at the altitude of 1,202 meters (or 300 meters above the sea level) and being the source of major gullies flowing into Mae-yom River. Short Description: Doi Phu Nang National Park is a national park in Dok Khamtai, Pong and Chiang Muan Districts, Phayao Province, Thailand.